Like many folks, I generally don’t like being at hospitals. It has nothing to do with the dedicated health care professionals who work in them, but rather because I associate hospital stays with serious disease or injury. Nevertheless, last week I joined a guided tour through historic parts of Massachusetts General Hospital in Boston, and it was very interesting. 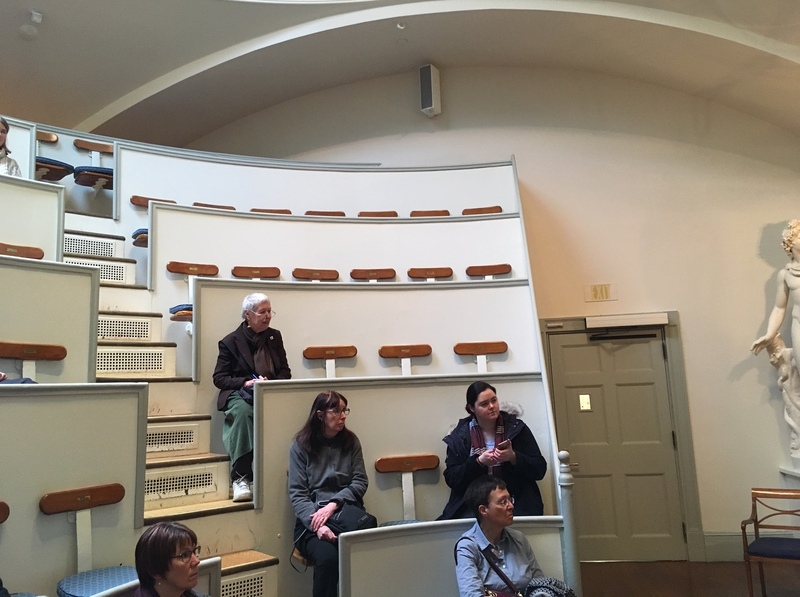 The tour was sponsored by Old South Meeting House, the non-profit organization based in the historic Boston building of the same name. Old South (the building) dates back to colonial days. A public meeting hall, it was the site where rebellious patriots planned the Boston Tea Party (1773) in protest of taxes levied by the British crown. Old South (the organization) maintains the historic site and hosts programs and talks devoted to Boston history. I learned that MGH was founded in 1811 and is the third oldest general hospital in the U.S. The “general” hospital distinction is important, because it means that (1) its services are open to all; and (2) it treats a full range of health conditions. 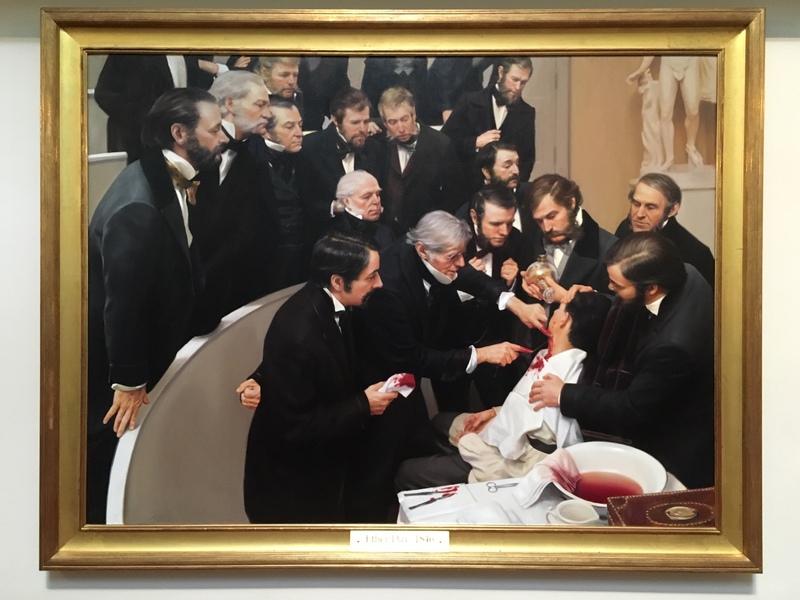 The highlight of the tour is a visit to the “Ether Dome,” the name given to the operating theatre that hosted the first public demonstration of anesthesia in 1846. The space is still used for meetings today, and it has been maintained to look as it did during the 19th century. Yup, we were right there. It gives you chills. For reasons stated above, I probably won’t be signing up for many more walking tours of hospitals, if at all. But MGH is a historic site in Boston history and a significant institution in the history and ongoing delivery of health care in America. The tour was also a reminder to me of how much fascinating history is present in Boston. Even as a history buff, it’s easy to take for granted how much evidence of early American history is all around me. 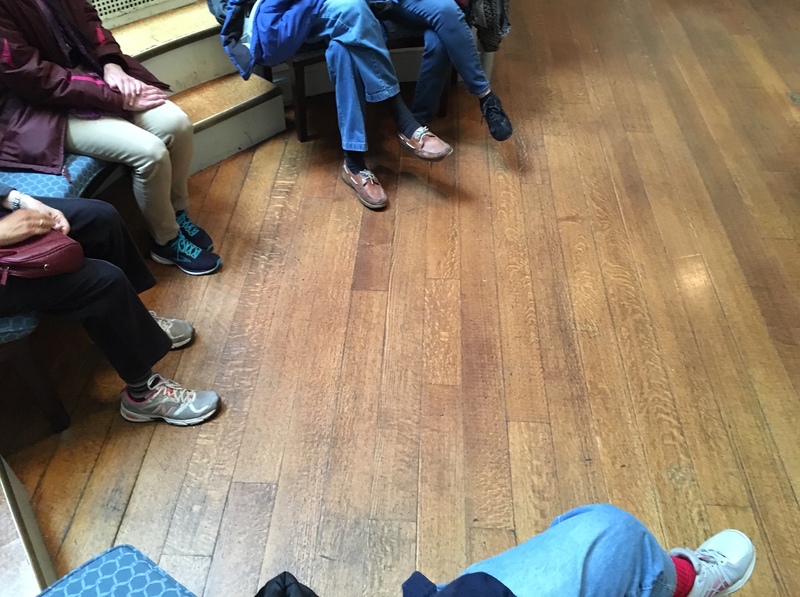 I’ve decided to spend more time exploring that history, and toward that end I recently renewed my membership with Old South Meeting House. It’s neat to play tourist in my own hometown, and I want to do more of that. Poor guy…wonder if he survived?! Betty, the tour guide said he did fine. He said he felt no pain through the entire procedure! What a fascinating place. I do hope you go on more tours of Boston. Thanks for writing this up.